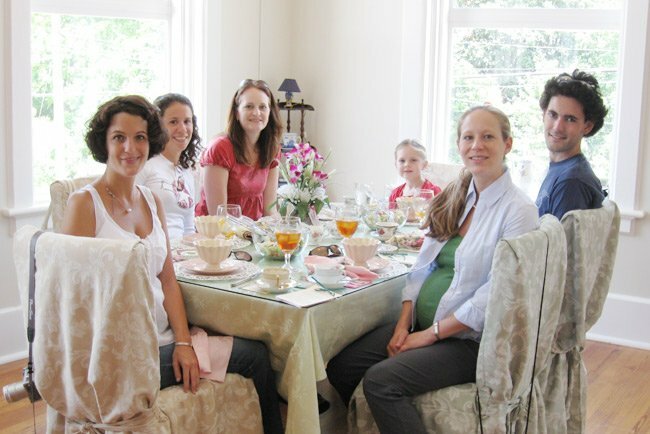 Ridgeway is home to Laura’s Tea Room, a delightful stop on the town’s main street, Palmer. 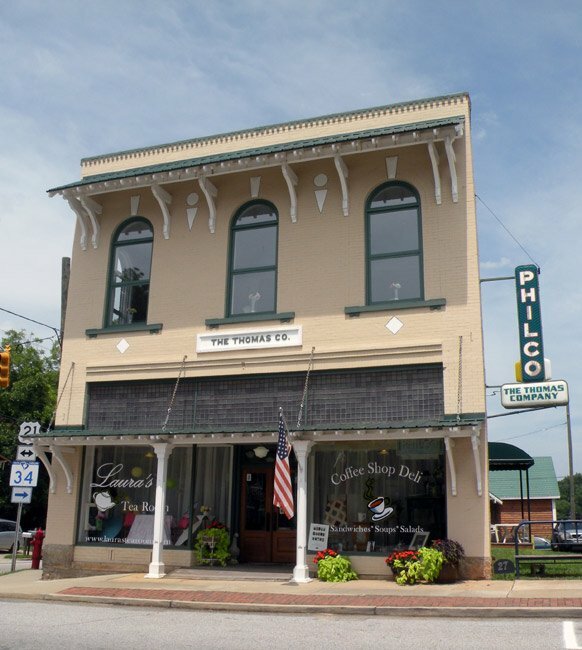 This small restaurant is so delightful, in fact, it is one of our two favorite places we have ever dined on a “SCIWAY on the Highway” road trip. 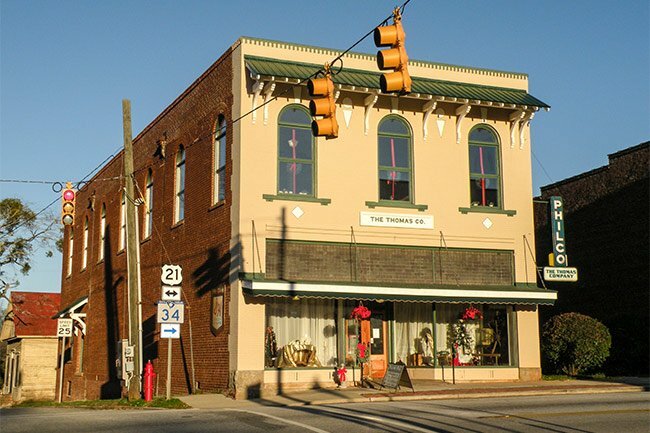 Originally the town mercantile, this historic building has been completely renovated but still utilizes the same cabinets, heart-pine floors, and library ladder. 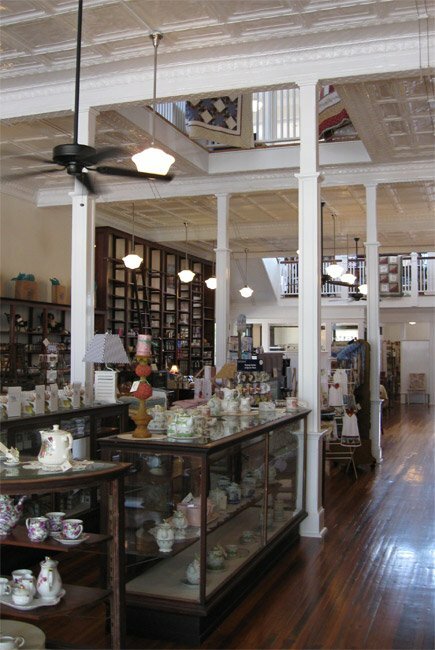 The main level features a gift shop and small dining area, while the upper level offers a full tea service in a formal (but still relaxed) setting. 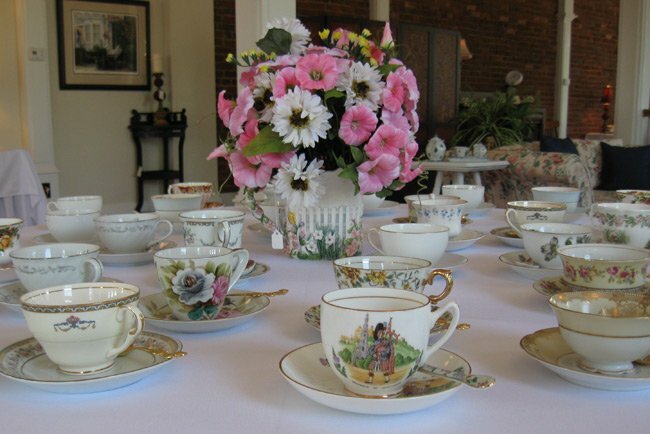 The service at Laura’s Tea Room is impeccable, and the atmosphere provides a perfect spot to enjoy a few moments’ rest before heading to your next stop. 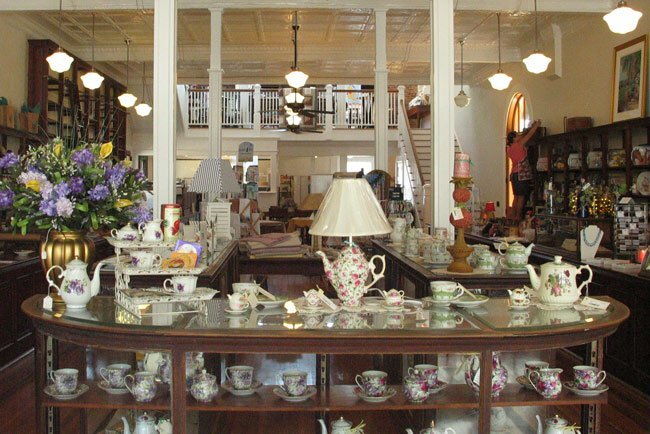 Upon reaching the upper floor of Laura’s Tea Room, patrons are asked to select a cup and saucer from this beautiful table display. Each cup is unique, adding a personal touch to the individual’s dining experience. My daughter sister and I visited yesterday June 22,2018 and had a wonderful fun time! The food service and atmosphere was amazing. We’re coming back in a couple of weeks and bringing my daughter in law for her birthday. I know she’ll love it! Had an impromptu luncheon in the deli yesterday with my sister. We had such a wonderful time, thank you Laura’s Tea Room! We will be back. This is going to be on the To Do List!! An excellent deli is open downstairs, and a library ladder was actually used to retrieve shoe boxes stored on the shelves. This is a “don’t miss” destination. Hi Phyllis! 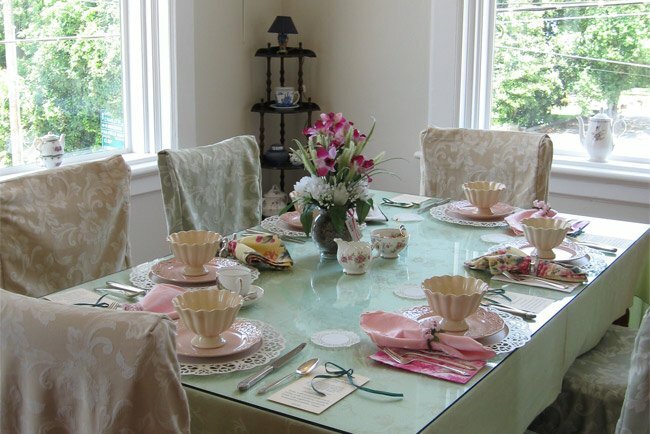 We have added a map to our Laura’s Tea Room page that should help you find your way! I’m trying to find directions to the tea room from Summerville.